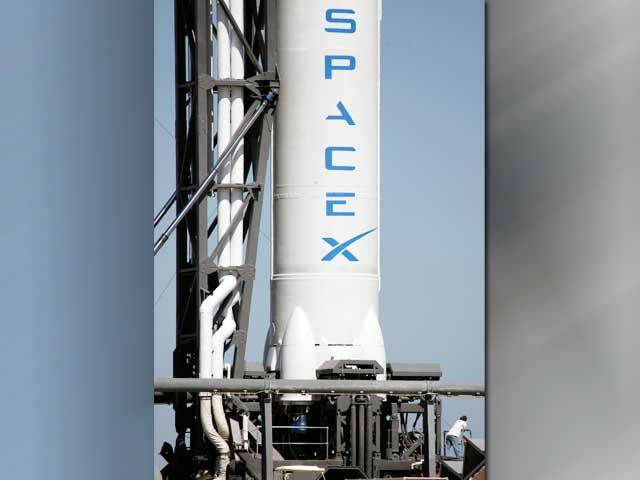 (AP) CAPE CANAVERAL, Fla. - Private rocket maker SpaceX is shooting for a Tuesday liftoff after fixing the engine problem that led to a launch abort over the weekend. The U.S. company is the first private business to attempt to launch a spacecraft with supplies to the International Space Station. The new launch time for the historic flight is 3:44 a.m. (0744 GMT). Forecasters say there's an 80 percent chance the weather in Cape Canaveral will cooperate. All nine engines on the Falcon 9 rocket ignited during the first launch attempt Saturday. But with just a half-second remaining before liftoff, on-board computers shut everything down. The problem was traced to a faulty engine valve. Engineers put in a new valve and declared the rocket ready to fly.